Q: How long have eyelash extensions been available? A: Lash extensions in some forms have been around for many, many years. However, within the last 5-8 years the quality and longevity have improved immensely. The majority of product is manufactured within the Asian countries. A: There are 4 types of lashes that are available on the market. 100% mink fur, these lashes are VERY light in weight and would accomodate a client with a weak natural lash. For those not wanting to use animal products, the comparable product would be a silk lash. The most used and most economical lash extension is the synthetic mink or loose lash. These two extensions are made of a synthetic material. Q: How are the eyelash extensions attached to natural lash? How long does the application take? A: The eyelash extension will be applied to an isolated natural lash. If properly applied, a miniscule amount of glue should touch your skin. The application varies in time depending on the experience of the professional as well as the clients amount of natural lashes. 1-4 hours, with 2 hours being the average. Q: What is the average cost for a full set of eyelash extensions? A: Depending on experience of an iLash professional and location, $100-800, with $175 being an average. Q: What is a full set? A: Industry standards states that 60 lashes per eye is a "full set". However, our technicians our taught that every client is different and it may take 80+ extensions per eye till the client is full. Q: Are the lash extensions dangerous or pose any threat to my eyes or natural lashes? A: As always, there is a very small chance you may have a reaction to the glues or synthetic lashes. In this case have your iLash Professional remove the lashes immediately. In an effort to promote safety in the eyelash extensions industry, iLash REQUIRES training for all of our iLash Professionals. Our professionals are trained to use safe and precise methods which will prevent harm to the client. Consumers are advised to visit only those technicians who are trained and certified with a reputable company, and all iLash professionals are independent of the iLash corporation. We supply the training only to promote the safe uses of all eyelash extension products. iLash is not liable for any damages caused by an independent professional. 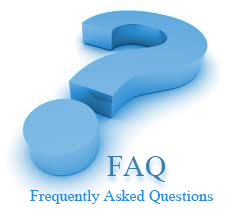 Q: How long do the eyelash extensions last before they must be completely removed or filled? A: Natural lashes cycle, however every lash will cycle at its own pace, a FULL life cycle for ONE lash is generally about 4-6 weeks. Every client is different but the average fill will be 3 weeks. Other conditions such as using oil based beauty products will affect the bond. Avoid using any waterproof and/or oil based eye products such as mascara and eyeliners. We have "extension friendly" products for client after care, on our iLashstore.com website.